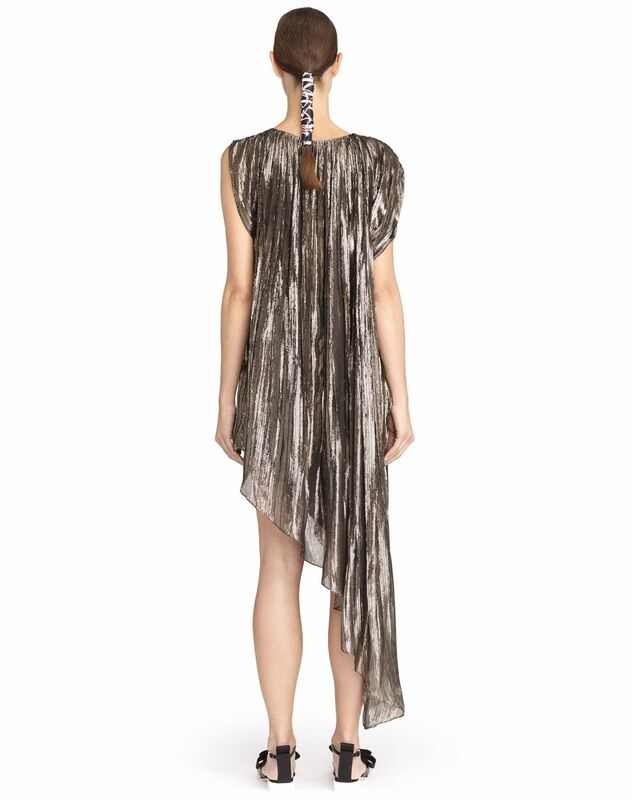 Mid-length dress in bright gold lamé, thin contrasting stripes, boat neck, one short sleeve and one cap sleeve, invisible black lining, asymmetrical length, and back button fastening. Asymmetry—one of Jeanne Lanvin’s signature details—is reinterpreted and celebrated in the Summer 2018 Collection. 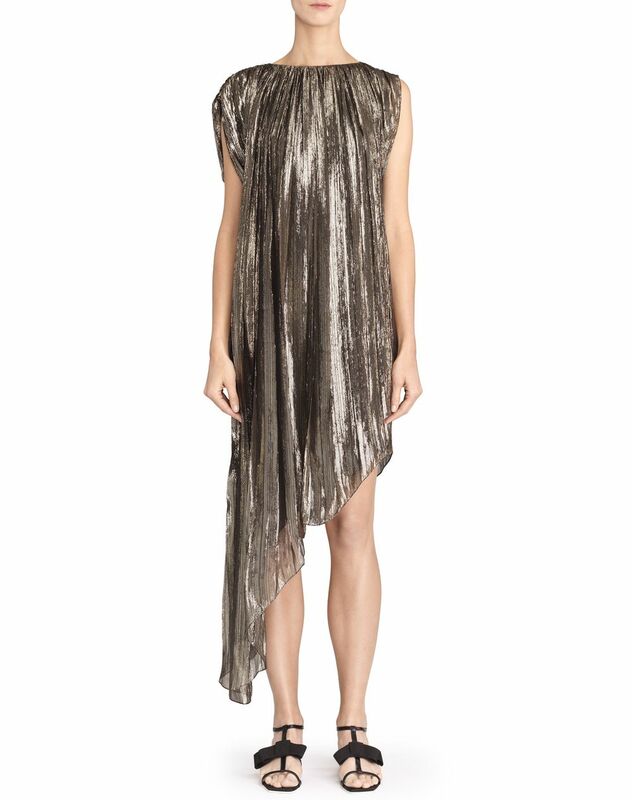 With a combination of flowing material and sophisticated gold lamé stripes, this dress stands out for its interplay of volume and texture, providing a unique touch of elegance. Subtly luminous and sophisticated, this dress is a timeless evening classic. Main materials: 73% silk weave, 27% polyester weave. Lining: 92% silk weave, 8% elastane weave. Model's measurements: Height: 5’ 9” Chest: 32” Waist: 24.5” Hips: 34.5” Model wears a size 4. Made in France.